Whilst England reached the semi-final of the World Cup this summer - the furtherest the team has gone in the tournament since 1990, some critics argued that they lacked creativity in midfield as they were eventually undone by Croatia in Moscow. Rose has claimed that his teammate Winks can assist with this, calling the 22-year-old 'different' to England's other options. Speaking via the Evening Standard, the Spurs defender said: "[Harry] is different to all the other midfielders we've got for England. Once he is back to where he was last season, he has the ability to be fundamental for any team." Rose also revealed that Tottenham's manager Mauricio Pochettino often calls Harry Winks 'the Little Iniesta' and he explained why. However, while Rose believes that Winks would help give England another dimension, he does not agree with those who criticised the midfield three that started in Russia over the summer. Harry Winks. Special talent. Just hope the boy can stay fit & healthy. 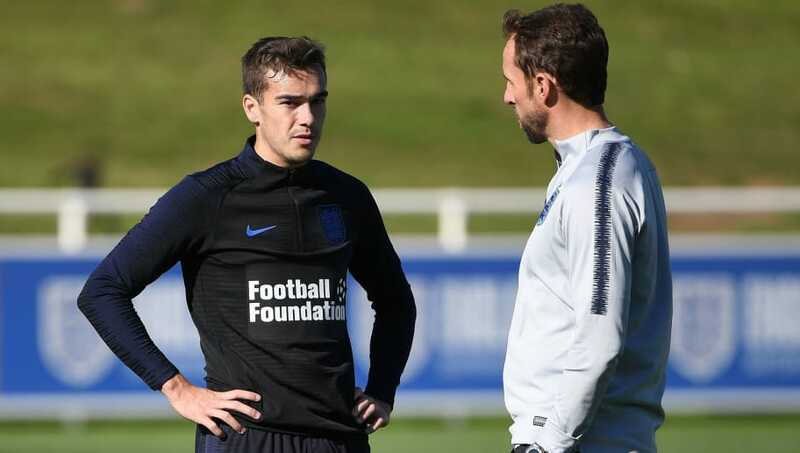 In addition to Harry Winks (who has one previous cap at senior level), Southgate has also called up first-timers Mason Mount, James Maddison and Jadon Sancho in an attempt to provide an extra creative spark into England's play. The Three Lions take on World Cup finalists Croatia in the Nations League in Rijeka on Friday, before travelling to Seville to face Spain on Monday October 15.